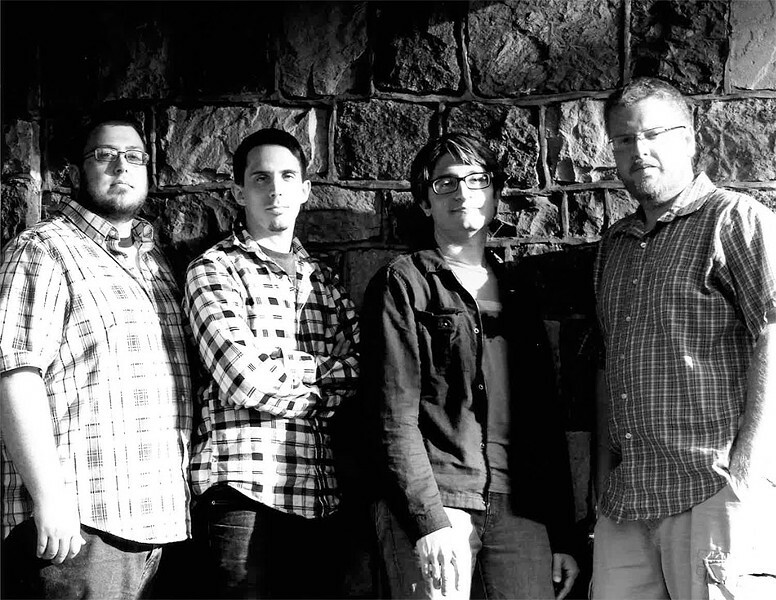 PHOTO PROVIDED Rochester band The Flood is (left to right) bassist Justin Rister, drummer Matt Bevan-Perkins, keyboardist Josh Massicot, and guitarist Eric Carlin. The Flood is a subtle blend of roots styles and genres that make up a multi-layered sound. It's personal and specific to this Rochester quartet, yet they don't know what to call it. Keyboardist Josh Massicot punts. "Americana," he says without thinking twice. "Well, we're calling it Americana because we don't know what else to call it. I know it means a lot of things to a lot of people." Frankly speaking, naming a band and shoe-horning it into a genre or style is a dying art ... no, it's a dead art, actually. The only thing that matters is how it sounds and how it arrived there. However, labeling The Flood Americana isn't totally inaccurate. "Everybody is a Broken Heart" is the band's new record and its second in what will hopefully be a string of storied releases. The sounds are traditional and well-balanced and lush, introspective, and pretty. The album's opening track, "Angeline," is a fantastic, bordering-on-epic number, with the lyrics playing the part of a timeline guide and storyteller. Things then slide into an Allman Brothers Band-type jam on the next cut, "Can't Let Go." Regardless of influence — implied or real — it all starts with principal songwriters Massicot and singer-guitarist Eric Carlin. "Eric and I were working independently of each other," Massicot says, "but then we started woodshedding some of our songs as a duo. They all started pretty simple, like cowboy songs." The simple chording and nurturing gave way to songs of myriad groove, tone, and individuality. It was up to the band — Massicot, Carlin, bassist Justin Rister, and drummer Matt Bevan-Perkins — to decipher and mold it into what The Flood ultimately sounds like. "Because we all come from different backgrounds — the challenge of the band," Massicot says, "is discovering how we can explore all these interests we have musically and start to sound like us and be cohesive as a whole." According to Massicot, The Flood is constantly conscious of keeping the two melody instruments, keys and guitar, in check. "Eric and I are trying to write songs and still leave space for each other," he says. "We love improvising, playing, and jamming. A lot of what was captured on the record — it's all live tracked. We cut it over a weekend then we came in later and did the vocals and a few overdubs. The challenge for us in the studio was to get that sort of heightened awareness: listening to each other but not becoming self-conscious." "Everybody is a Broken Heart" producer Dave Drago (1809 Studios) did a bang-up job making the comfort apparent so the band could do its thing. Drago also put his foot down a couple times. Often a band will enter the studio with more songs than it needs, only to whittle it down to the absolute essential cuts. "Eric and I come from two very different places as songwriters, and the band is great at taking songs I've written that might be in the Bruce Hornsby realm and throw them into a more of a rock, jam, aggressive place that I might not send them to. Eric's got a thing for blues and guitar-riffed music, and it's fun pushing him in the other direction, paring the songs down." But above all, Massicot says, The Flood's demands are small. "The songs we're writing speak rather plainly," he says. "We just want to make art."